Turtleback is a great destination for a golf weekend. To aid in planning your trip to the Rice Lake area, we're happy to assist in providing preferred hotel options for your stay-and-play weekend. Come and enjoy a "four-star" golf course along with a clean and comfortable place to stay. Why not stay the whole weekend and play more golf!! Ask us about our 27, 36, and 54 hole golf rates to really get your fill of golf at Turtleback. We're happy to assist in your planning so please don't hesitate to contact us as you make your travel arrangements. 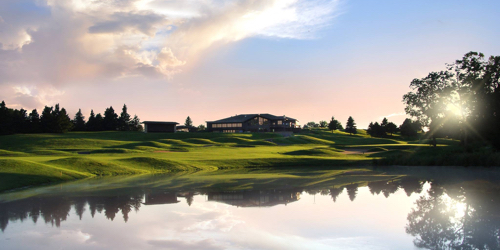 Turtleback is a great destination for a golf weekend, and is visited by golfers from all around the Midwest. Come and enjoy a "four-star" golf course along with a clean and comfortable place to stay. We're happy to assist in your planning so please don't hesitate to contact us as you make your travel arrangements. Partnered with area hotels and casinos. Starting at $99/person for weekend and $80 weekday. Replay rates $27. Turtleback Golf Course reserves the right to change price and offer at anytime. Prices and offer are subject to change without notice. GolfWisconsin.com is not responsible for errors posted in this golf package.